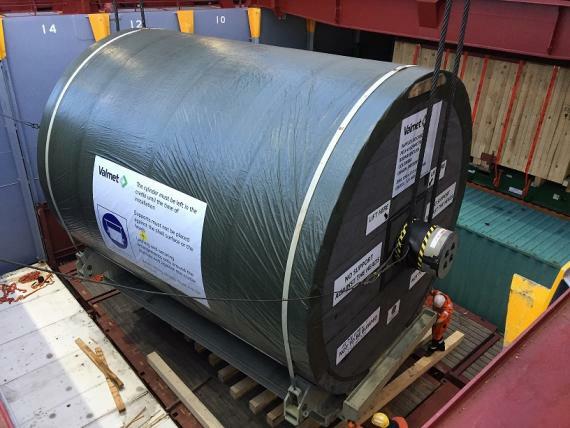 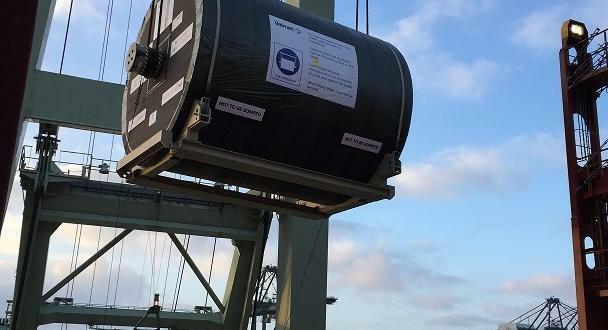 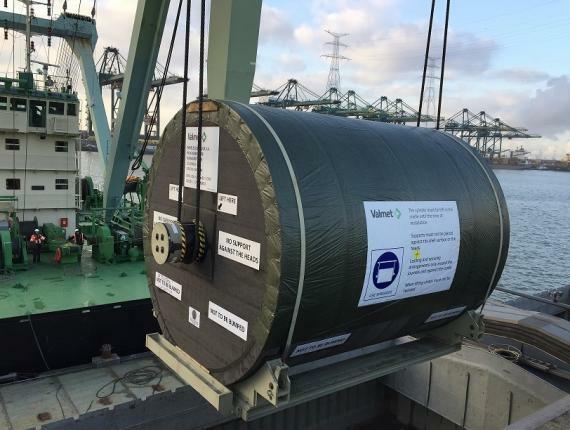 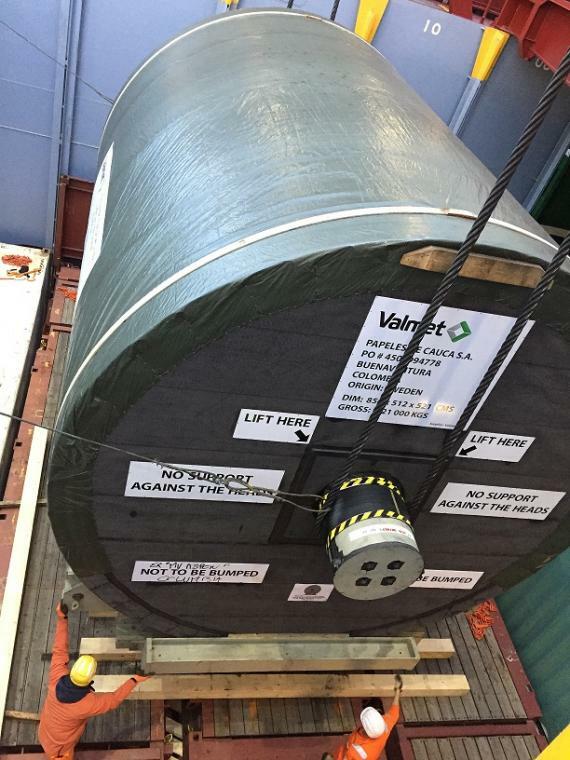 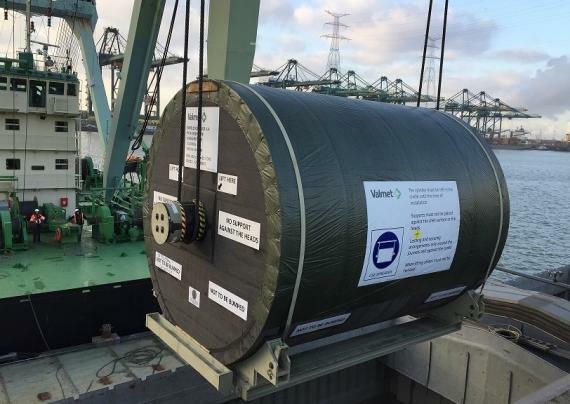 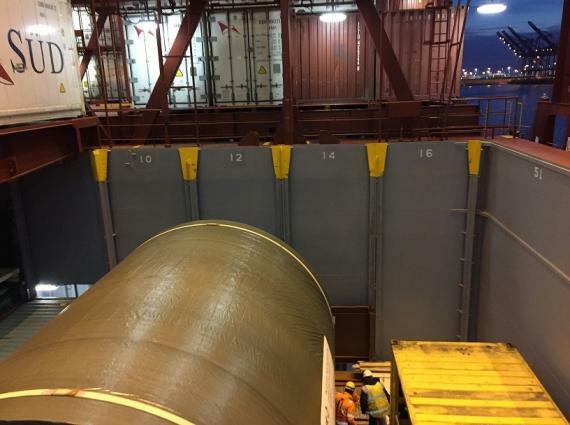 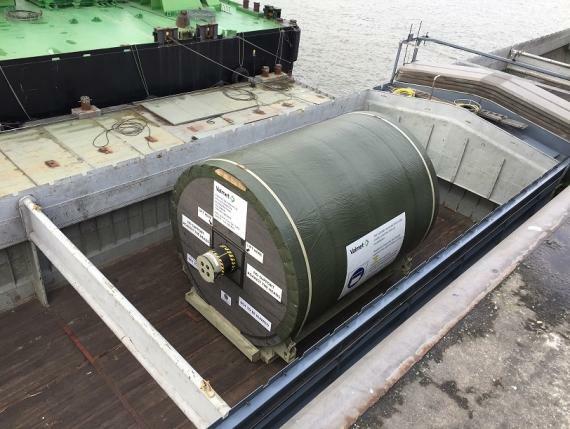 Belgian members, Europe Cargo have recently shipped a 'Yankee Dryer' weighing 121mt with dimensions of 8.56 x 5.12 x 5.21m. 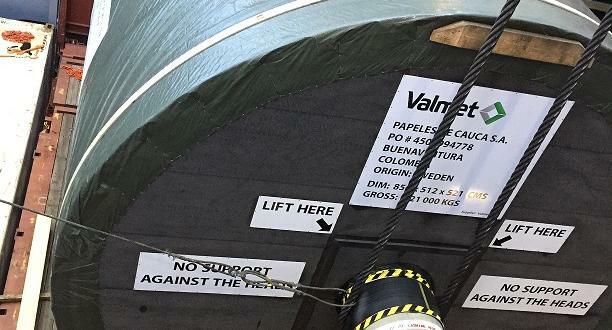 The cargo was loaded on the Cartagena Express, a brand new container vessel making its 1st sea trip, with a destination of Buenaventura, Colombia. 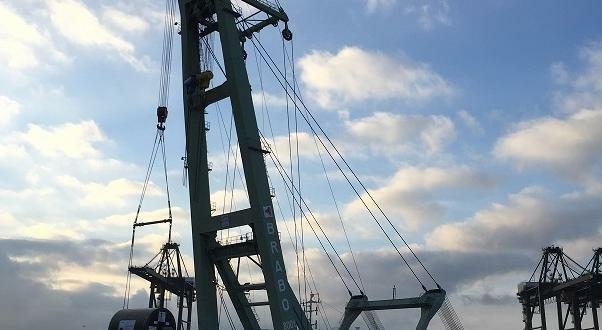 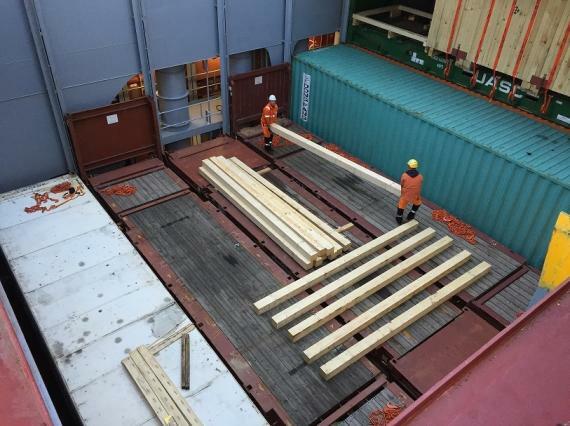 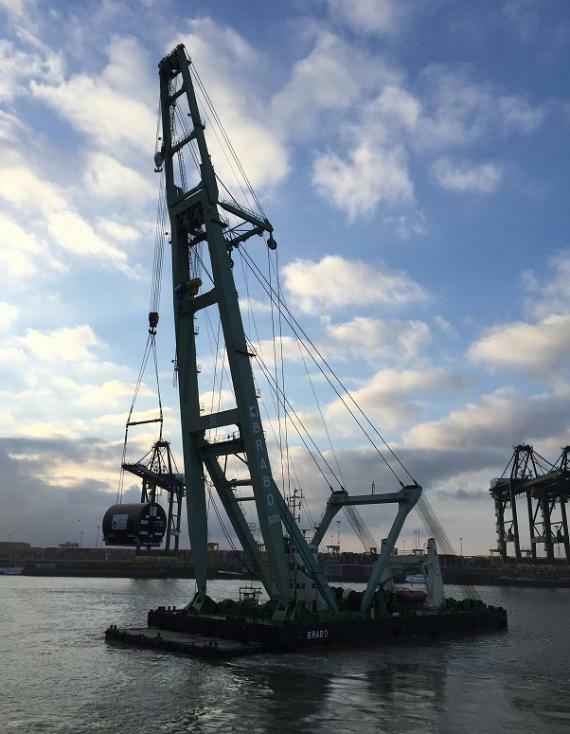 The loading operations were performed using a Brabo floating crane (SWL 800mt) from the barge onto 2 x triple 40' flatracks with 14 pieces of hard timber on top and heat treated dunnage spread all over. 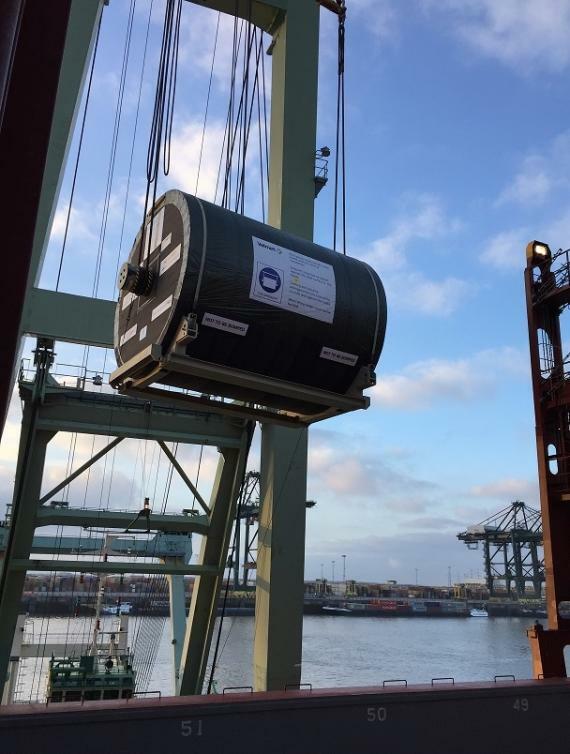 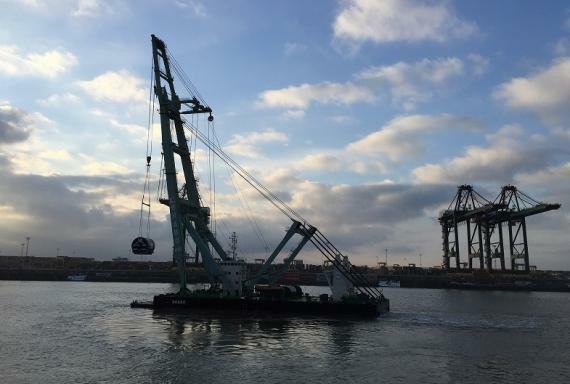 The cargo has now landed safely in Buenaventura port - another project successfully handled by the team at Europe Cargo! 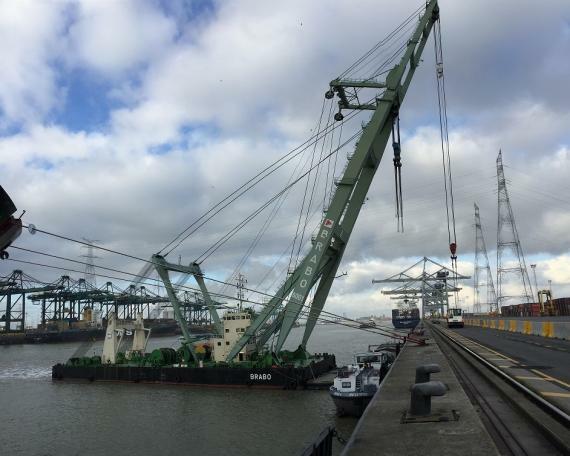 Please see the gallery below for photos of the operations.